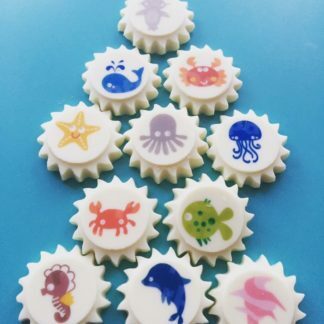 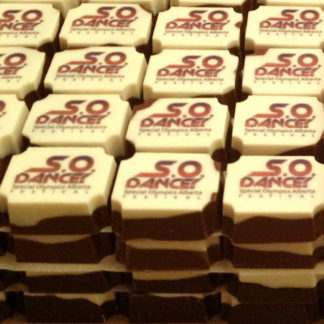 Our custom printed chocolates allow you to put your photo or company logo on chocolates. 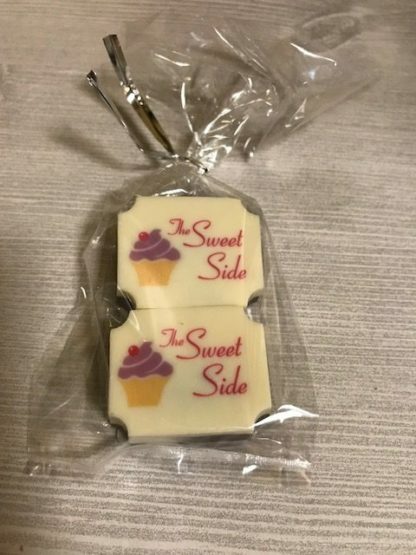 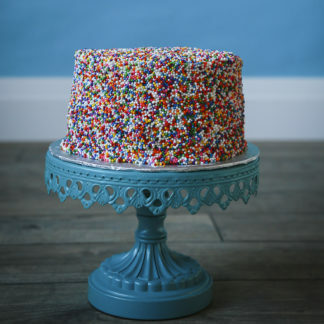 Simply email a .jpg file to info@SweetSide.ca and we will create your custom chocolates. 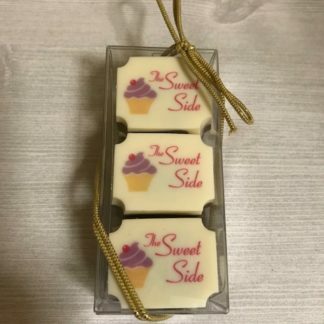 This product is a full chocolate in a variety of flavours, packaged in a cellophane bag. 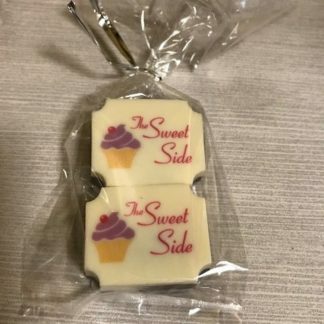 Available in milk chocolate or dark chocolate with optional added flavour– all chocolates have a thin layer of white chocolate on top to allow printed material to show.